It was a God dream. Kanye West took over Madison Square Garden for his Saint Pablo tour and reaffirmed his crown as our reigning king. Kanye can't do anything if it's not epic. Pile up the haters, but everything he does will be number one. His last solo tour featured a full blown mountain onstage, complete with a Jesus, snow monster, and troupe of dancers. There was even snow. It was nothing short of a spectacle and certainly nothing like a traditional concert. 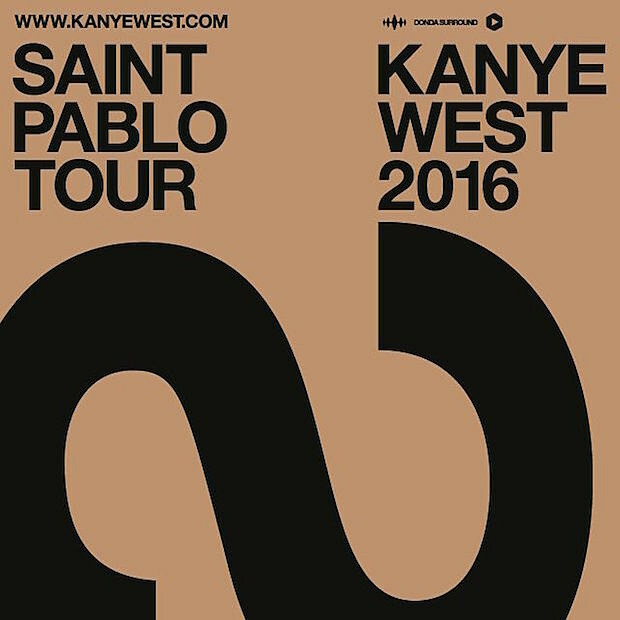 For the Saint Pablo Tour, Mr. West has made damn sure to try and once again out do himself. This time around, he doesn't even have a stage as much as he has a flying platform that drifts across the arena. Carrying Yeezus himself over a wild crowd, the platform is non-stop madness. An insane pit follows him back and forth across the floor, truly the most punk thing I've ever seen at The Garden, probably ever. He busts out sleek dance moves, retains his rants, and simply puts on one of the most electric arena shows in recent memory. The sound system was rattling, the volume blaring, and the entire building was hyped. The Yeezus Tour was opulent and full of sparkle, but for Saint Pablo, Ye flips his minimalist approach and turns everything in a whole new direction. A rack of light stretches over the crowd as Yeezey floats along, never once dropping the beat, never once stopping to preach, and keeping everything to the utmost extreme. The shout-a-longs are bountiful, brimming with light and swagger. "Famous", of course, saw one of the biggest reactions of the night, but Kanye simply nodded as he carried on with the show. In the past, we've seen an airing of grievances and tirades against all the things that he seeks to call out, but this time, West stuck strictly to the hits. He shouldered his way into things by dropping his verses on Drake's "Pop Style" and his latest with ScHoolBoy Q, but it was the back half of the set that really sent the building into orbit. Just when it seemed like the intensity had reached full throttle, everyone shifted into a higher gear. "Jesus Walks", "Gold Digger", "Touch the Sky", "Good Life", old Kanye still feels brilliant and jubilant, saw ecstatic reactions, and really brought everything together full circle, the progress of the artist clear and logical. His latest art marvels are obvious wonders, but his pop-smashes are no doubt just as glorious. He has grown from dropout to designer without losing any of his confidence and work ethic along the way. The dichotomy of Kanye's discography could suggest a wild, ego fueled ride (and it has been in the past), but this time around, his perfectionist ideals and motivation to be the greatest entertainer on the planet have seen him realm in madness and dish out brilliance. The Life of Pablo has been ridiculed for feeling like a work in progress and not like a finished masterpiece, but seeing the patron saint perform these pieces live was like seeing perfection come to fruition. A God dream, if you will. 01 "Father Stretch My Hands Pt. 1"
12 "Can't Tell Me Nothing"
14 "Blood on the Leaves"
28 "All of the Lights"
Bon Iver - "8 (circle)"
How to Dress Well - "Can't You Tell"